Since generations the M6 kept giving upgraded performance and features. Though there are years in history which also narrate the disappearance but the remembrances in the hearts of buyers kept it alive. 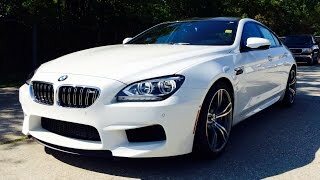 After releasing the third generation model in 2013, this time BMW has came up with upgraded engine to deliver more power to its all new designed BMW M6 Coupe 2015. Let’s learn more about each aspect in detail. The interior of BMW M6 Coupe 2015 doesn’t brings much of upgrades unlike its power beneath hood but to add ‘redesign’ to its model they surely have showed sign of innovation. BMW calls it as ‘iPhone-style’ information display. Well whatever they say the instrument cluster definitely gained an impeccable look and simultaneously the interior as well. The BMW M6 Coupe 2015 gets an all new full-leather trim package with black chrome accents and contrast stitching. The rest in the interior remains same as its predecessors. 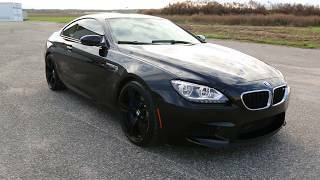 Just like the interior the exterior of BMW M6 Coupe 2015 doesn’t brings much changes with it. You seriously need an ‘eagle’s eye’ to notice them (we managed to get one). The headlights are now LED with a minute change in surrounding shape, with black strip running across the bottom highlighting it. BMW offers a model with ‘Competition Package’ that brings black-chrome tailpipes above 20” alloy wheels. Rest we didn’t find any change in the exterior and we moved to the major segment, which is the performance. 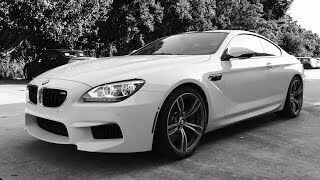 With its all new 4.4 liter twin-turbo V8 engine the model BMW M6 Coupe 2015 enthralls the streets with 560 hp and 678 nm torque mated to Seven-Speed M double-clutch transmission with Drivelogic technology. 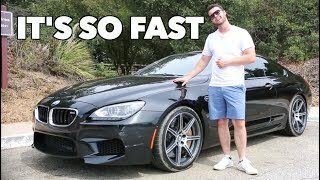 The engine thus holds the capability of taking the BMW M6 Coupe to a top speed of 155 mph while the 0-62 mph sprint stands well at just 4.2 seconds. However with the addition of competition package the driver will get an engine with enhanced 15 ponies, this means a total of 575 hp, while the torque remains same.